Kelly Sull. is the winner. This happens to be perfect timing because you may have someone on your Christmas list that would love a brand new watch, right? The watches are gorgeous and beautifully hand finished. They are rustic, sophisticated, and very comfortable. They can also be worn casually, or when you dress up. Below you will find “Frankie”-the one I am giving away to one lucky reader…it can be worn by a man or a woman. If you would like to win this watch, please leave a comment below and you will be entered-that is it. US residents 18 years of age or older please. Winner will be chosen randomly and notified by e-mail on November 18, 2016. I will be mailing the watch to you well before Christmas. *Watch may need to be custom sized by winner. 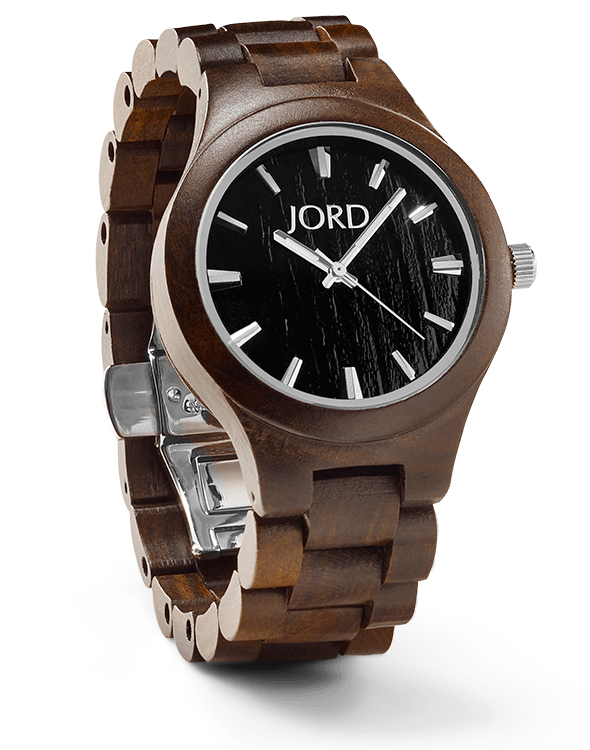 Here’s more about the watch you will be receiving…Frankie Ebony & Gold Jord Wood Watch . 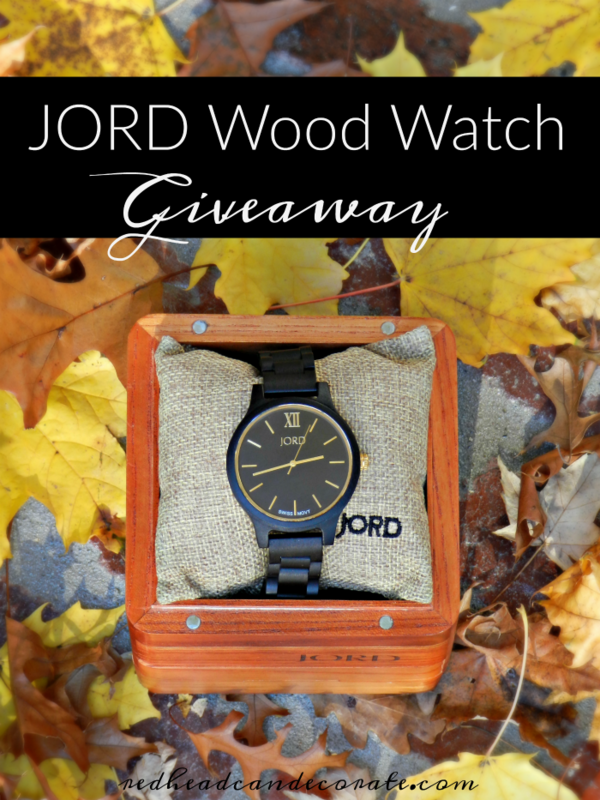 Jord is offering a $75.00 e-gift certificate towards a Jord Wood Watch to 1 winner as well. To enter, fill this quick form out and you will automatically be entered to win the $75.00 e-gift certificate. How easy is that!? 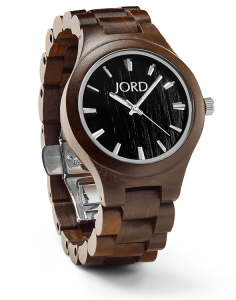 Lastly, everyone wins that fills out a form because they will receive a $20.00 e-gift code to use when purchasing a Jord Wood Watch. Contests #2 & #3 end at 11:59 CST 11/27 and both gift codes expire 02/28/17. Beautiful watches! Thanks for the chance! Love the watches! They are beautiful. I would be thrilled to wear one. Thank you. Love these watches Julie! I am a big fan, and fellow redhead. I stopped to pick up a big stump at the curb last week- now I know what I am making with it! Love the table! Just wanted you to know I love your style and your posts. Your decor always inspires me. I love how classy these watches look. I love real watches, books and mail! I love your posts! I try not to miss a one. Thank you!!! This watch is very elegant! I am sure I can find someone to give it to! ~ Have a fun & warm weekend Julie, c u next week! This is great and thanks for the opportunity. I would like to be entered in the contest please. My husband does need a new watch – the one I gave him as a wedding present almost 20 years ago has just died for good. Thanks again! I love these watches! I was going to say it’s a great giveaway right in time for Christmas, but I don’t think I could give it away! Love to win! What unique watches!!!! Look forward to reading your blog! I received a Jord watch last Christmas from my husband. I love it! I would love to win the “Frankie”, so I could surprise him with his own Jord watch. Would love to win the watch. The black watch is stunning. 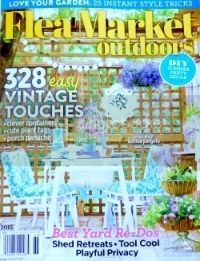 Know someone who would love it! Thanks for the chance. What beautiful watches! Thanks for the opportunity to possibly win one. 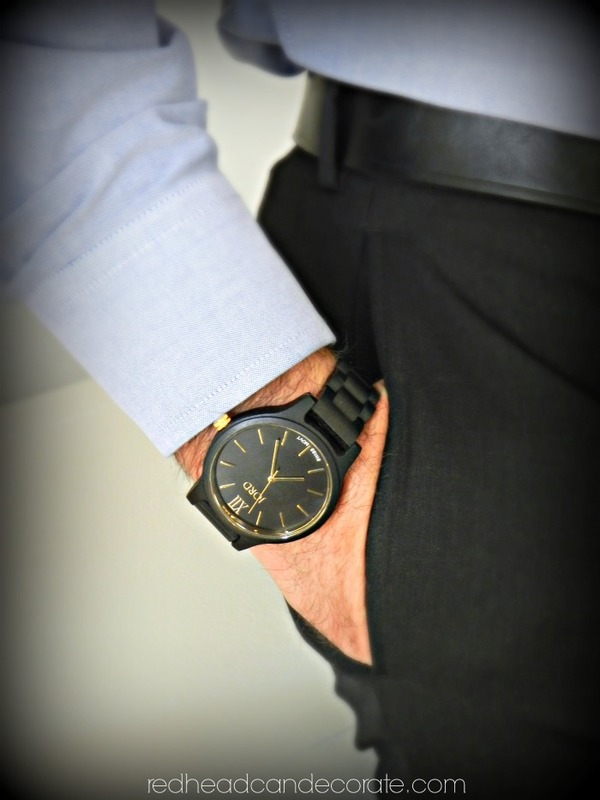 Love your blog and the watch! I would wear this watch with pride. 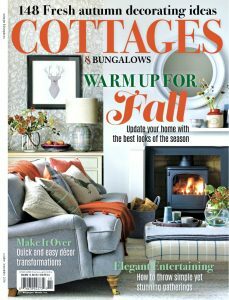 Love the watch and love your decorating ideas too! Thank you Julie; wonderful give away. I love the look of these watches; especially like the ladies watch that looks like real wood. Clever. So cool, Carol! Good luck!! What an awesome contest! Love the watch and your blog. Thank you! Beautiful watch just like the beautiful decorating that I view everyday on this blog. I love these watches!! So beautiful! Beautiful watches – would love to own one! Hi Julie, Love your blog. Thanks for the chance to win a beautiful watch. I’d love to give it to my son for Christmas. Beautiful watches. Thanks for the chance to win. What a great looking watch. What beautiful watches. Thank you for this nice giveaway!! A wonderful way to show craftsmanship using wood. 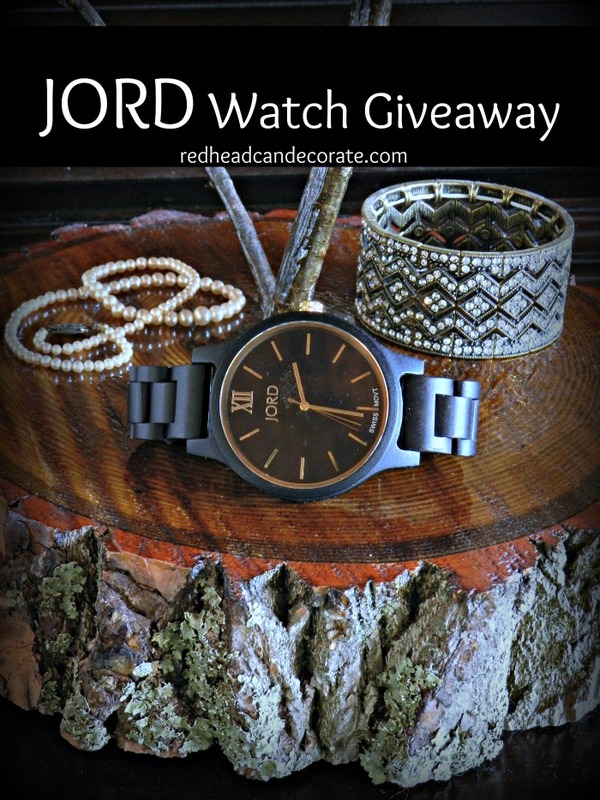 Jord watches are just beautiful and would be perfect for an upcoming 40th anniversary gift for my husband – thanks for offering the watch as a giveaway! Love your blog! These watches are beautiful! Love love your blog, I get so much inspiration. I would love to win the watch. I have a very special grandson that lives with me,it would be an awesome Christmas present for him. Beautiful watch! I’d love to give it to my husband.I think he’d love it too! So nice to hear some kindness in the crazy world today,love and peace to all.Love your blog,always ready to see what you post. Thank you Julie for a chance to own one of these beautiful watches. Love reading your blogs. I love your style so not a surprise you and I both love these watches. I would love to win one of these awesome watches for my husband as a Christmas gift. Thank you for the chance! This would be perfect for me, I work at Bass Pro and it would be such a conversation piece. They are beautiful! Gorgeous watch !!! Would love to have it to set on my table thanks to hurricane last month have a down tree. (was very lucky tree fell away from house and no one was hurt.) Love your ideas keep the good work up!!!!!!!!!!!!!!!!!!!!!!!!!!!! I just lost my job yesterday and really stressing out about the holidays. This watch is absolutely gorgeous, would love to win so I could give my husband a great gift for Christmas. Thanks for posting, love your site. I love ? this great giveaway!!! Your blog continues to inspire with great posts week after week. Thanks for stopping by sis! Unique watch for my collector son! Beautiful watches! 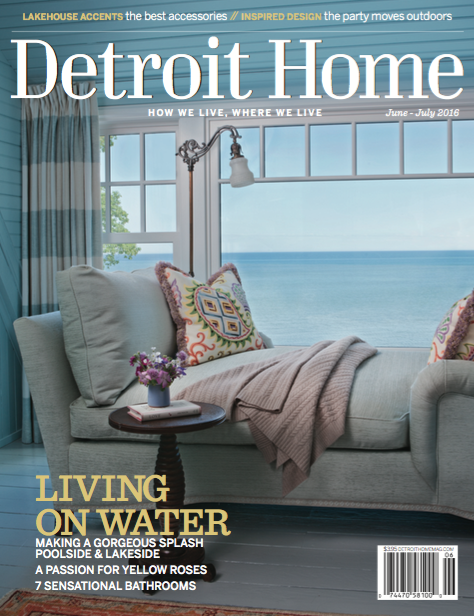 Love your blog – your decorating style can’t be beat! Thanks for the opportunity to win a gorgeous watch! 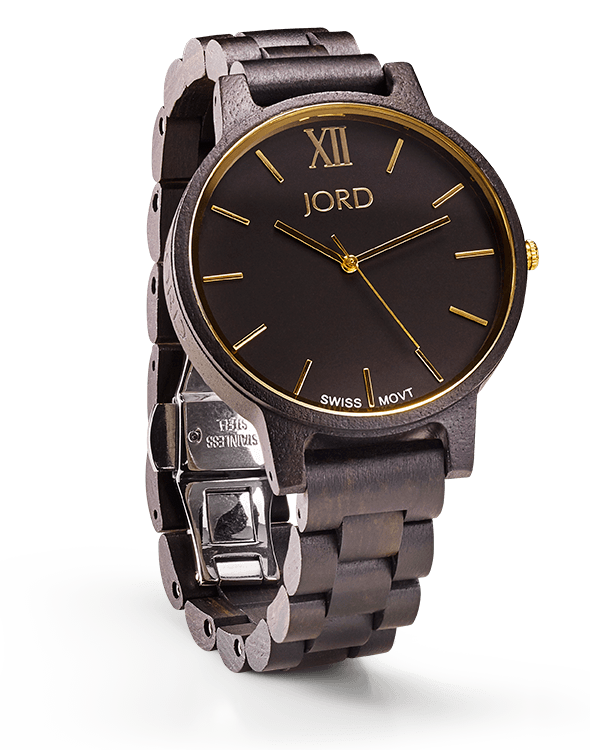 Love all the Jord watches. I love them! So unique. Thanks for the chance to win. It is a beautiful watch. I enjoy your website and all your great ideas. I saw these watches on Pinterest and thought it might be a nice gift for my hubby, father, and father in law. Very cool and unique. Thanks for the chance to win one! With this unique watch for his collection. I always look forward to your inspiring blog posts! Wow what a great giveaway. Who wouldn’t want one of those beauties. Thank you for the opportunity to win one. My husband quit wearing a watch years ago. I would give him the watch so he would stop asking me what time it was! Hi Julie! I enjoy reading your blog. My husband collects watches. Would love to win this one for him. Thanks for the try. Wood watches make great 5th anniversary gifts! Thanks Julie. My husband loves watches & this would be a great addition to his collection. Love your site! Hello! Been following you for some time! Love all of your ideas, Thank you for the chance to win a pretty watch, love the style. Fabulous! Thanks for the chance! Beautiful watches! Love them all! Fingers crossed ? 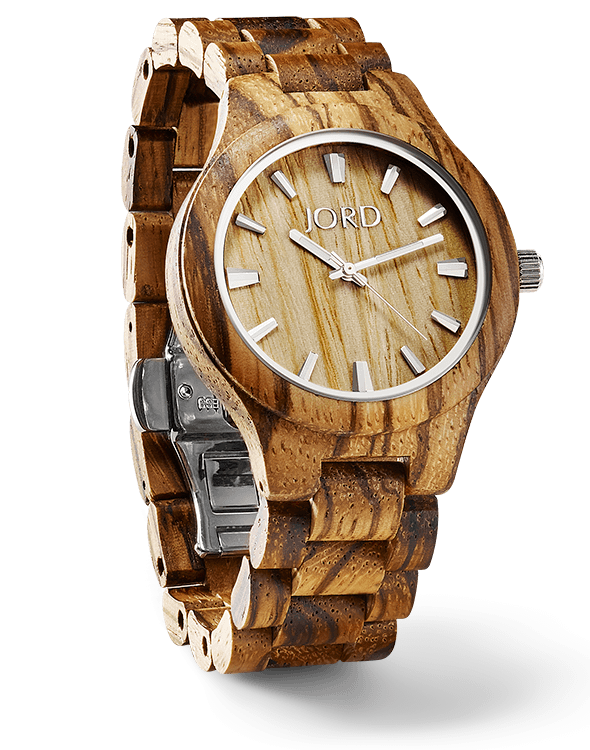 Jord Wood Watches are so unique and beautifully made! I’d love to give Frankie as a gift this Christmas…or maybe keep it myself! Beautiful watch & just in time for my son’s 21st birthday. Very cool watches! Thanks for featuring them. 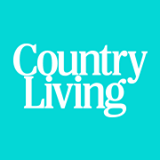 I enjoy viewing the photos of your beautiful home on this blog. Your ideas are creative and so stylish. Thank you and Jord Watches for this timely, pun intended, giveaway. Wishing you and yours a lovely holiday season. This is very nice. If I won I would give it to my husband for Christmas. He would love it. This is a beautiful watch! It would make a wonderful gift for my husband! Thank you for the chance to win one! Would love a watch! Thanks for running the contest! These watches look very unique and beautiful! Thanks for offering this fun giveaway and happy holidays! I’m thrilled to have been given the chance to win one of these beautiful and very nice watches. Thanks so much. Your giveaway is most generous and I will keep toes and fingers crossed for a win. 🙂 Thanks again. Love your website. Beautiful watches! Beautiful watch!!! Perfect contest for the holiday season! What a nice looking watch. I know I have a couple of men here that would love wearing this watch. Oh my goddess. These watches are beautiful! I wanna wood watch!! Ooh maybe I’ll win it!! Thanks so much! Love ur blog btw! Wood! Who knew that was even possible. They are very beautiful! Thanks for the chance. Good morning Julie…you have such wonderful ideas and I love that you so willingly share…thank you ! Beautiful watches. I would love one. These watches are absolutely stunning. My son is an artist, so I can truly appreciate the artistry of these unique time pieces. Thank you for this opportunity, and have a wonderful Holiday season. This watch would be a great gift for my brother. Thanks for the chance to win! Really enjoy your blog. Some cute ideas that are easy and quick have been inspiring. Thanks! This would be such a neat gift for my husband for he used to make beautiful things from wood before he had to stop due to illness. I have never seen anything like these. Thank you for the chance! Have a great weekend! I’ve never been interested in watches till I layed my eyes on these beauties!! Amazing ladies!! I’m going to spread the word to all my friends !! ? Thank you, for all of the great ideas that you share. Now time to win a prize. Thanks so much for the giveaway. Love these watches!! 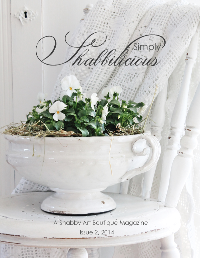 Your projects always inspire me – I love your style! My husband would LOVE that watch. He could sit on his tractor in front of his woodpile with his new wood watch that will match his new wood belt. He’ll be a happy guy! Thank you for all the awesome features you have and for the chance to win a watch. Hope you have a wonderful Thanksgiving and God bless! From one redhead to another – gorgeous watch. Would donate to a military family. Your projects always inspire me – I love your style! Would love to have this beautiful watch ? Your projects always inspire me -Would love to have this beautiful watch! I love that wood band! I always admire your decorating and the lovely home you have made. I look forward to reading your blog and following you on instagram. I would love to win one of these gorgeous watches. My husband and I always seem to wear a watch. Gorgeous watches. Love your blog. I have made the Christmas Tree Pallet for this year. How much time would a woodchuck chuck if a woodchuck could chuck time ? Seriously my husband came in to my life after me being twice widowed and raised my three boys one is which is autistic then we raised his niece. All with a smile and a joke. He loves watches and gives so much to all of us. I would love this for him. ! P.s. Say hello to Rich. My partner in crime at QBE ! First, I have to compliment you on your site, Julie. It’s always fun and interesting, not to mention informative. I really like the watch. Wanted to buy a watch a couple of weeks ago but perhaps I could win this one instead. If I do, it’ll be the first thing I’ve won in many years. Many years ago I went to the symphony, and the arts center was celebrating their anniversary by give away tons of really neat prizes to the 1m person to come through the door. I was the 999,999 ! See! I’m just not lucky that way. But every once in awhile I try again. Have a great Thanksgiving, Julie! Gorgeous! “Wood” love to win! Love these watches, also love your blog! Thanks for the opportunity to win such a great looking watch! Thank you for all your great posts ! Love them! I just love your transformations… your kitchen is stunning! Thank you for the opportunity and for giving me the courage to tackle those daunting projects! I’m new to your blog & I’m loving it. My husband is a woodworker; he’d love a wooden watch. My fingers are crossed. I so enjoy receiving your posts – love your style and ideas! My son would adore this watch, thanks for the opportunity! Thanks for the chance to win such a great watch. Love these beautiful watches! Thanks so much for the great giveaway! Nice watches. The ladies is lovely. Thanks for the chance to win a Swiss movement ⌚️ watch. Would make hubby a great gift since he hasn’t had a watch in 10 years. Your site rocks.?? Watches are unique and beautiful! Fits with my rustic lifestyle! Thanks for the opportunity to win! Beautiful watches! I love your blog and appreciate the chance to win your giveaway. I’ve been following you for awhile.. You never disappoint! I’m also a red head myself and this watch is awesome looking!! What a nice looking watch! Thanks for the chance. Enjoying your website. 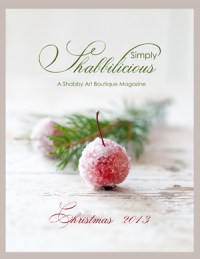 I love your blog, your home is amazing! The watch is beautiful. Wow, what is the occasion? Love the watches. Can’t wait to see who wins. I love these unique watches (as well as your unique website). Thanks for the chance to win a watch. Thanks for a chance to win this beautiful watch. From one redhead to another…love your blog and the watch you picked out. Love your style and blog. Thanks for sharing. I enjoy receiving your emails & always look forward seeing your latest creations. I hope you receive this & know you have a faithful follower. Keep up the decorating, & please keep the RedHead! I love it!! This is an unusual looking watch. I’ve never heard of the brand before. Looks very nice. Hope I win!?? I love your creativity and you inspire me. You have no idea how I look forward to your newsletters. Thank you. The watches are like nothing I’ve ever seen. Exquisite! Thank you for this opportunity !! I think redheads are the best, but the fact that one of my children and myself are redheads may have influenced me. That fact drew me to your blog and I have not been disappointed. Thank you for hosting this wonderful give-away. How generous you are! These watches are gorgeous!! Thanks for the opportunity!! These watches are beautiful! I would love to give and get one of these watches as a Christmas gift! Love the beautiful Jordan watches. I would love to be able to give one to my husband. Thank you for the chance to receive one. Merry Christmas a little early. Those are beautiful!! Thank you for the chance to win one! Beautiful watches! Would make a lovely Christmas gift. Gorgeous watches! Thanks for a chance to win! Thanks for all the inspiration and the great give away. I always look forward to seeing your newsletters. I fell in love with the “Purplehart” in the Frankie series. Really enjoy your blog and would love to own that beautiful watch. These are so cool! My hubby will turn 60 next month and this is exactly what I was thinking about getting him! Wood sculpture for the wrist. It’s like walking around with a tiny art gallery. those watches are amazing ⏰? I have loved these watches from afar for several years-hope to own one myself someday soon! Love this watch! It would make a great gift for my college aged son who just moved out?. Read your posts regularly! Lovely piece! Thanks for the opportunity to win! Would really love to own one of these beautiful watches! Thank you SO MUCH for the chance to win. Fingers crossed and good luck to everyone! Please enter me in the Contest to win the free watch. All of the models shown are gorgeous! Thanks for the chance to win one. pick me!!!! 🙂 I would love to have the watch.. Such a great watch! I would love to win one for my Dad. Hi Julie! Great give away and so unique! Wow, lots of competition for an extraordinarily beautiful piece of time keeping. I would give to hubs for gift, depending on when would receive it. Our 48th. Anniversary is on 11/30 or for Christmas gift. He has always had thing for watches, think he’d love a wood watch.Thanks for making it so uncomplicated to possibly win. Hope whomever wins will cherish such a special gift. Thanks for the opportunity, this would make a great gift for my husband! I have LOVED Jord watches for so long, thanks for the chance. Great giveaway! Would LOVE to win a great watch for hubbys xmas present!!! What beautiful workmanship! I love the styles for both men and women! I would love to win to give to a person that is starting a new job. Thanks for the opportunity to be considered! This would be a great Christmas gift to myself. I have stalked, I mean admired, these watches forever! My husband is a watch fanatic, and his mind would be blown to receive this for Christmas…what a great giveaway! Thank you so much ofr the great blog with all the pictures, projects, and inspiration!! Red Head has brains and style 🙂 and I appreciate the posts and the chance to win the wood watch give away too!! I’ve been eyeing these watches for a while now. Thanks for a great giveaway!! Love these watches – they’re so unique. You are so sweet to make one of these beautiful watch possible for one of your lucky winners, me and/or someone else, a chance to have this watch under the x-mas tree. Thank you for the opportunity to win it. Thank you! Such beautiful watches! I love these watches! I sure “wood” love to win one! 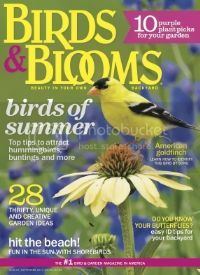 Hi Julie , I love your blog ! Your kitchen is my inspiration for a future makeover ! These watches are gorgeous . It would be amazing to own one ! These watches are just beautiful! I would love to win one!Good luck everyone! My husband would love these watches! It would be his gift for Christmas. Thank you for a chance to win this beautiful watch. Love Jord and I would love to win one of these! Love the watch, would love to win it. I enjoyed your blog and Facebook page. You have so many ideas that don’t cost a lot to do. Keep up the encouraging ideas. I absolutely love this wood watch! I come from long line of woodworkers and “wood” love to sport this work of art. I follow you on facebook and your website! You are very creative and I am always waiting for your next ideas! Take care from a fellow Redhead and New Yorker…originally from Naples, NY!! Go Bills! My son has a beautiful wood watch that he loves! It is light, natural would and I am sure he would love this dark one. Not sure if his is a Jord but this watch is beautiful! Very unusual watch! My brother loves to collect different kinds of watches such as myself. It would be an awesome gift! Thanks for this giveaway! Love your blog!!!? Hmmm…my husband goes through watches so fast! I think his last one lasted two years, if even. I wonder what he would think of a wood watch. Beautiful watch! I love the rustic look. Love your blog!! My cousin would LOVE to have this wood watch. Jord came up with a unique idea here. Have a great Thanksgiving with your family! All us Redheads have to stick together! These watches are so cool……Have a happy turkey day! Beautiful watch. I love it and everything you do! I get excited whenever I see a new anything from you! Beautiful watches. Different and beautiful.